In a previous post we talked about why Google+ is too big for your company to ignore. Assuming you heeded these words, the next question you may be asking is how does my company develop a Google+ strategy that runs circles around the competition. Before we can answer that we need to begin by familiarizing ourselves with a few basics. After all, a racecar driver can’t employ a sound strategy to win at NASCAR without knowing how to drive. Like racing, there’s a lot of prep work that needs to happen before getting behind the wheel of Google+. These include: Building out a car; Branding the car; and Knowing the lingo. 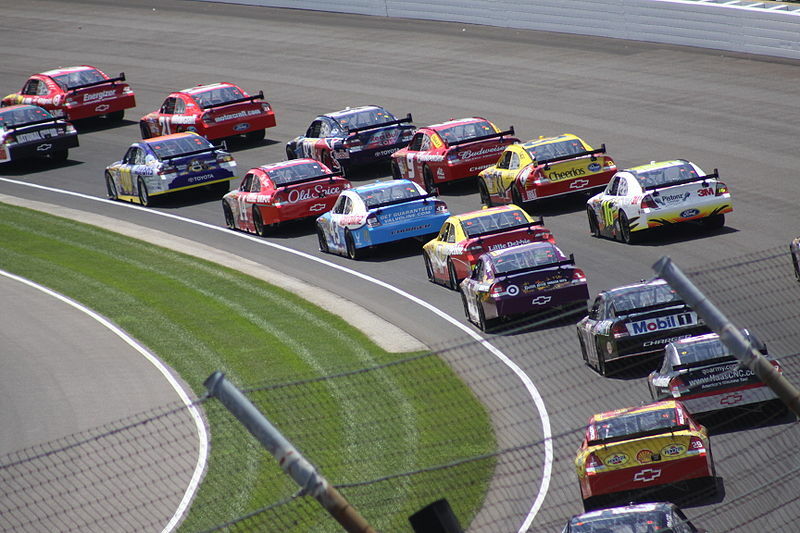 1) Building out a car: Whether it’s a Dodge, Ford, or Chevy each driver picks out a car they like and then builds it out to their specs according to NASCAR rules. The same is true for your company. You must first obtain your Google+ Page and set it up according to Google’s specifications. In order to do this you need to have an individual Google+ Profile (which you can get through your current gmail account or by setting one up). From here you then establish your Google+ Page. It’s important to understand that a Google+ Profile and Google+ Page are different. Think of the “Profile” as the racecar driver and the “Page” as the actual race car. The car will go nowhere without someone to drive it. Google helps makes this process easy by walking you through each step on their Get Started Page. 2) Branding the car: Racing enthusiasts know a driver simply by the look of their car. Dale Earnhardt Jr. drives #88 for Budweiser; fans recognize the blue and red STP car as NASCAR legend Richard Petty. And these cars stand out too! This is what you want for your Google+ page as well, and it is therefore, important to consider what content best represents your company. For racecar drivers there is the sponsor, the color of the car, and their car number. For Google+ it’s an eye-popping profile picture and cover photo, a short yet enticing introduction, and key links listed in the About section. 3) Knowing the lingo: Ever hear the term “Squirrel” in NASCAR? It refers to a driver who, like a squirrel, darts back and forth across the track. Google+ has its own terminology too, but maybe the idea of learning more social media speak doesn’t thrill you. The good news is, if you’re familiar with Facebook and Twitter then learning Google+ lingo isn’t that hard to grasp. In his book, What the Plus! 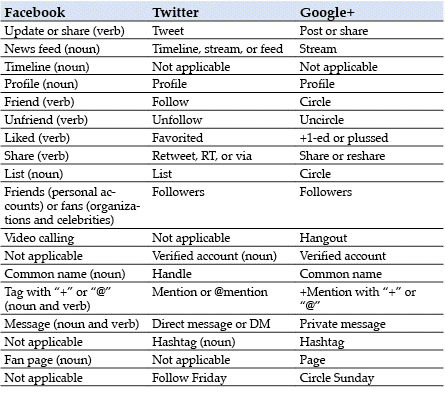 Google+ for the Rest of Us, Guy Kawasaki provides a great chart showing the similarities between Facebook, Twitter, and Google+ lingo. Note: Since this chart was released two more terms have become relevant to the lingo Google+ Events and Google Places (sometimes called Google+ Local Pages). What you need to know about Google+ Events is that it is similar to Facebook Events except for its increased ease of interacting with others and sharing content before, during and after an event. The other term, Google Places, replaces Google’s local business pages. But don’t be confused, even though it looks much the same as Google+, Google Places is NOT integrated with Google+ (not yet anyway), and must be claimed separately. What we’ve just covered are the basics to getting the engine started on your company’s Google+ Page. Once you’ve revved the motor, it’s time to pull up to the starting line and wait for the green light to flash on.